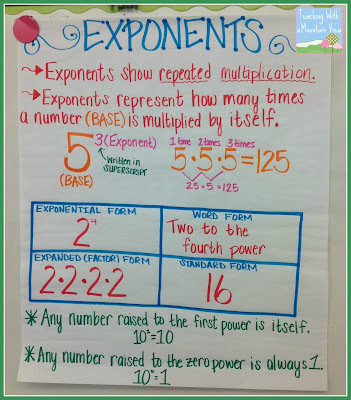 We have been busy in math working on exponents! I have an accelerated 5th grade group, so we needed to cover 5th and 6th grade standards on exponents. 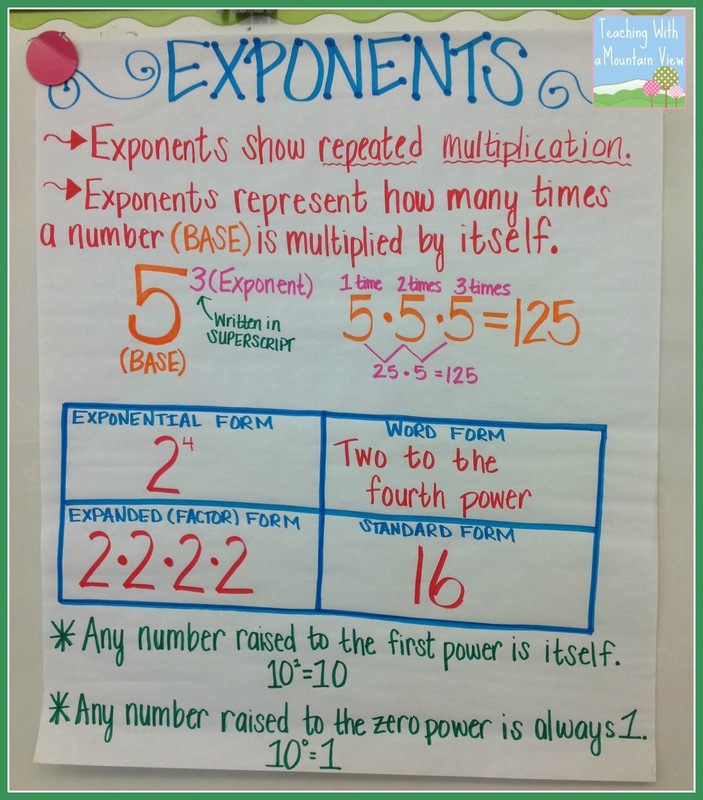 We haven't quite gotten to evaluating expressions with them yet, but they are exponent pros now! 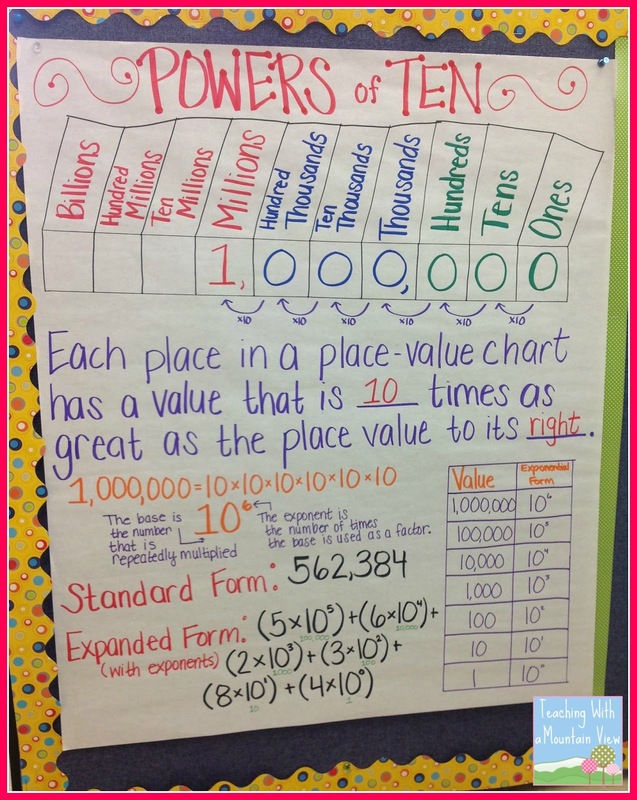 Here are the two anchor charts we made, and the students also put these into their math journals. 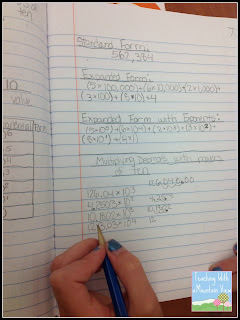 We practiced multiplying powers of ten by decimals by using our birthdays... the kids loved it! The first number was made from a 12/6/04 birthday. Such fun! The students did a magic square activity from Hojo. This was such good practice and a good challenge for them, and they enjoyed doing it, too. 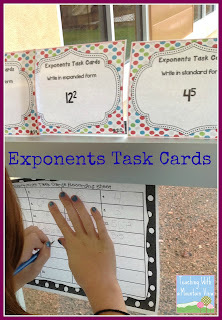 We also did a few IXL units, and then I whipped up two sets of task cards. 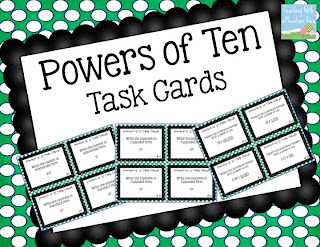 The Powers of 10 task cards we did together on the document camera in about 5 minutes. Good news: You can grab them FREE here! This is EXACTLY what I am starting week after next. THANKS! And I hope to do everything you talked about! 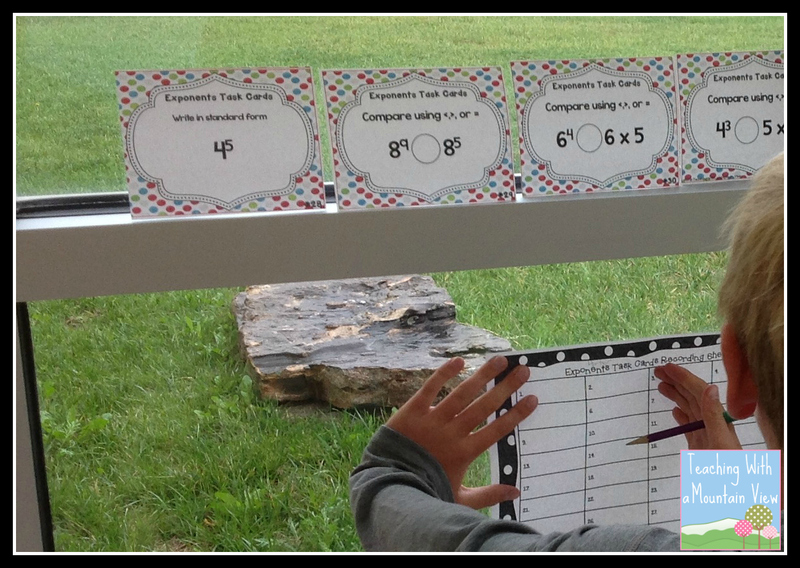 Thanks for all of the great ideas--and the task cards too! 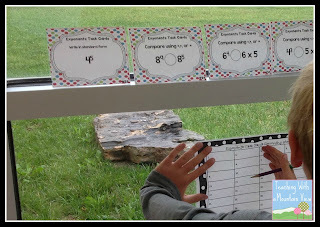 I recently bought your multiplying and dividing fractions task cards and did something similar to this with a scavenger hunt. 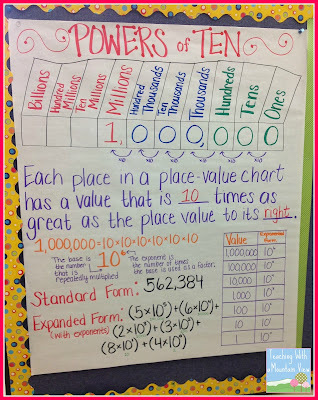 I also love your anchor charts =) I definitely use your ideas. Love it Love it Love it!!!! Teaching this to my 6th graders and your method is just what I needed.